Last weekend we held our annual Moth night – we set up light traps and then on Sunday morning identified and counted every moth and bug that had been attracted to the traps – before carefully letting them all go. We counted twenty-eight different species, which was good for a rather damp night. Biodiversity is not without its challenges, of course. 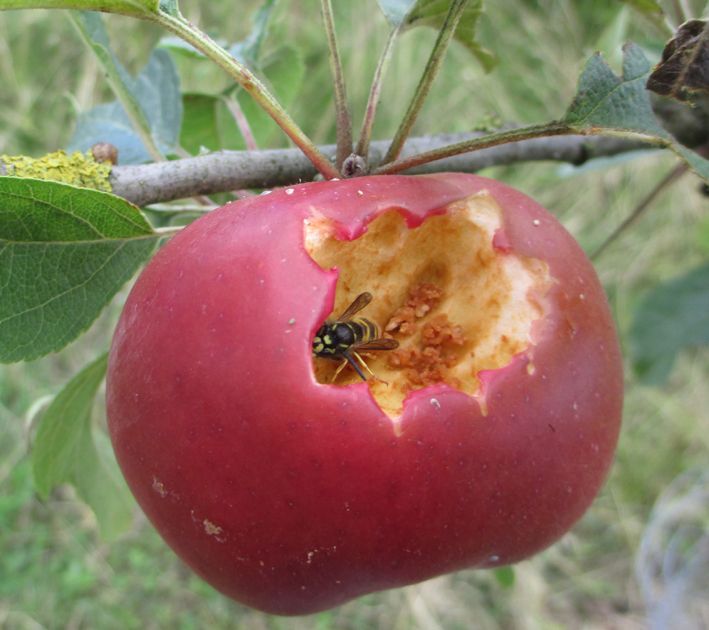 The two largest apples in the orchard, hanging from the Red Victoria tree, look delicious from a distance but, oh dear – look what I found feasting within! 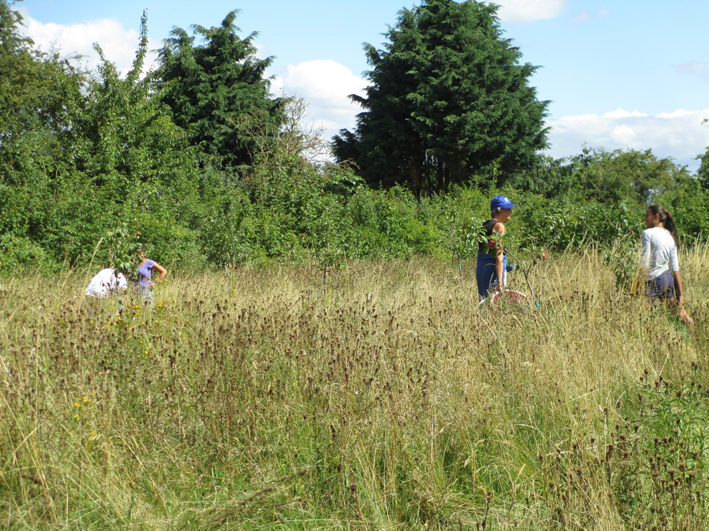 Still, our helpers were not deterred by the odd wasp, and set about weeding around the trees. There really are trees in there, somewhere. I think the wild flowers have set plenty of seeds this year. The orchard is tucked at the end of Foster Road allotments, and cycling home past them I had to stop to marvel at the biggest bumble bee I have ever seen. 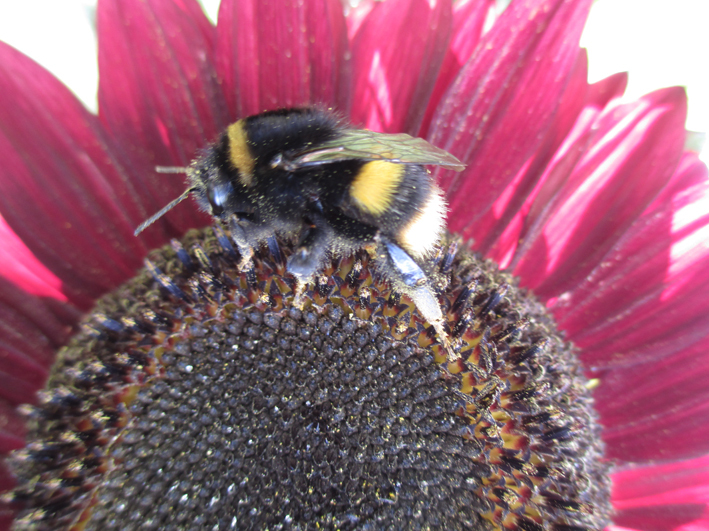 She was collecting pollen from a red sunflower, so that gives an indication of her size; she was a thumb length and width. I hope she comes and overwinters in one of the bee houses we’ve put into the orchard.